Try a Learning Cup for free! Try for free a Learning Cup from NUK! 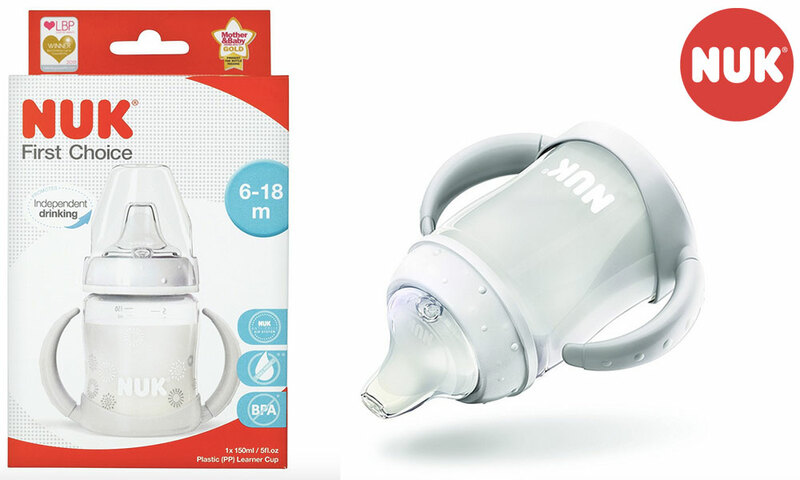 The NUK First Choice Learner Cup helps make the transition from bottle feeding to drinking from a cup easier! Features anti-slip grip trainer handles which make it easy for your child to hold the cup themselves. The Learner Cup is fitted with a silicone spout with a non spill design which helps reduce mess, making it ideal for active babies. 5 Learning Cups to try!